There is a chance the QueenSpin on the left is a Spotnose QueenSpin as well, of course it's a GIRL so there is a little wait there, but to the right is a Spotnose KingSpin, I thought it was a QueenSpin whenever it first hatched out since it was so light, but then I saw the head and when it popped out, knew what it was! Agree on that Spot Blast. You're making me re-think some projects. WOW! Very nice, big fan of the Spotnose combos! 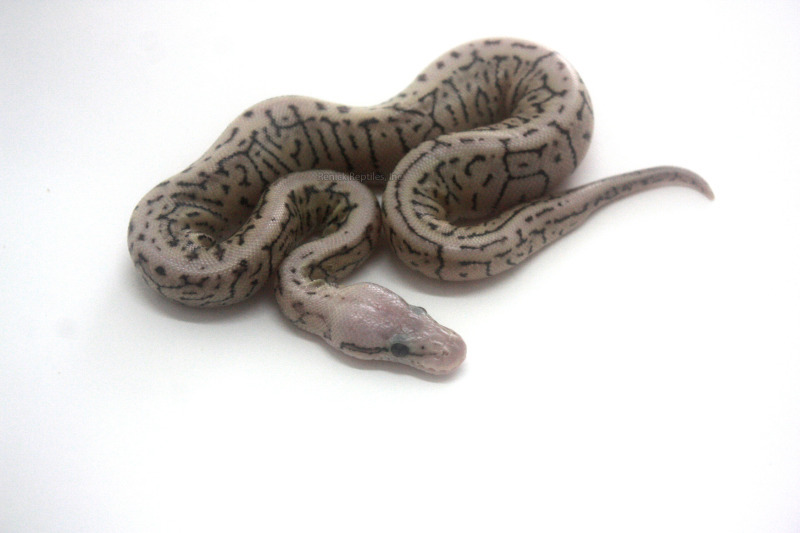 It's snakes like these that make me itch to learn everything I can about breeding, very pretty. Is it the pattern in the head that makes it a kingspin or a queenspin? woah! I am so jealous. A KingSpin is a Lesser Spider Pinstripe and a QueenSpin is a Pastel Lesser Spider Pinstripe. The colors are pretty night and day when compared to one another. Hope this helps! I'm loving that spotnose blast, congratulations on them all! I'm investing in a spot nose..
Thems do great stuff to combos.